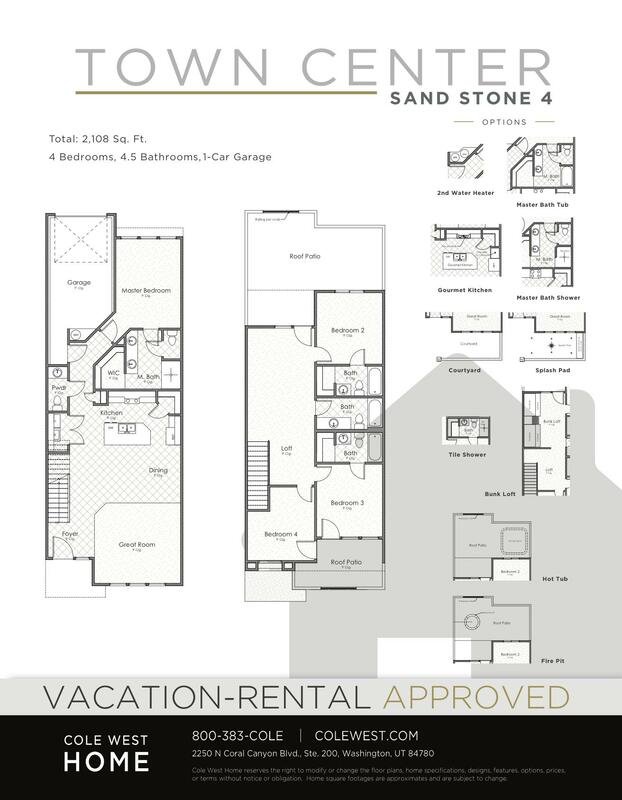 This Nightly Rental Approved 6 Bed/6 Bath Townhouse is a SPEC. 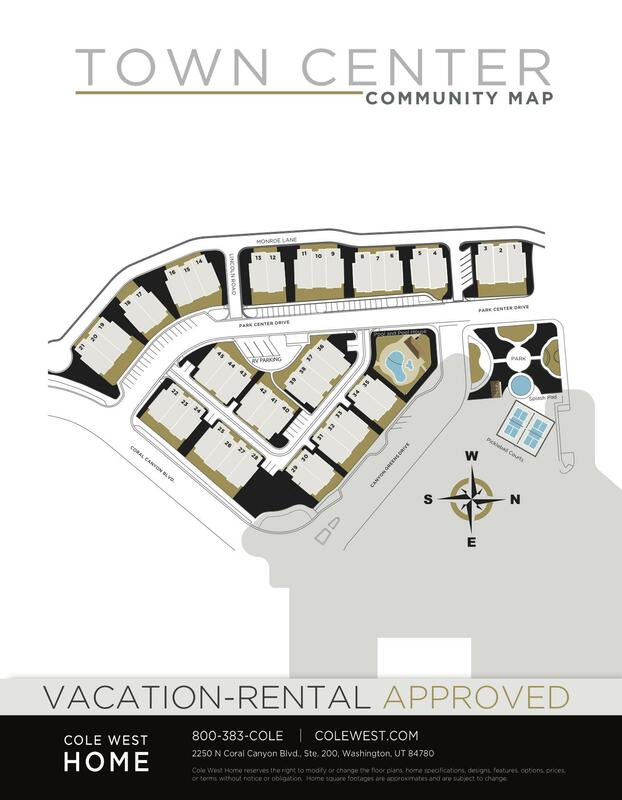 Resort style amenities, Rooftop patios, splash pad, park, pool/spa, & pickleball courts. Ideal 2nd home or investment property. 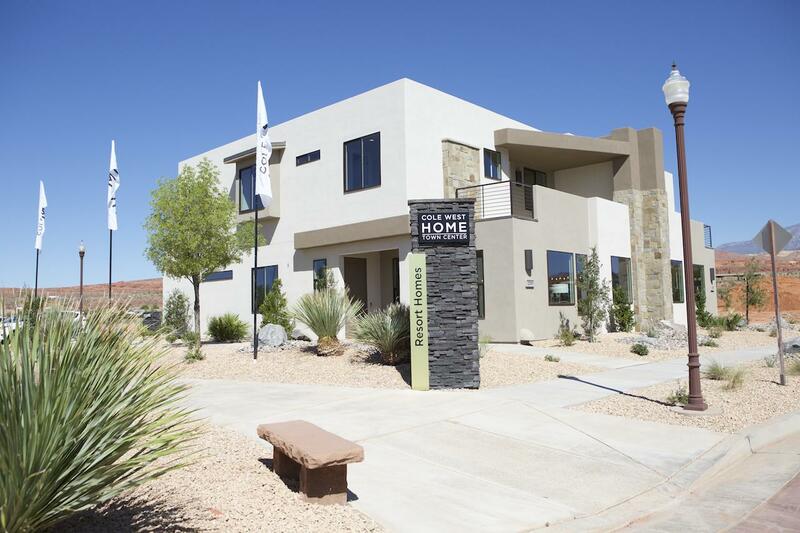 $10K Builder incentive for accepted offers before Feb. 15. Prime location off I-15 and SR-9. Great recreational area with golf courses, lakes, sand dunes, and Zion National Park. UNDER CONSTRUCTION. Directions: Exit I-15 to SR-9, take the 1st off ramp, turn left onto Coral Canyon Blvd., proceed 1 block to Town Center development on your right.